The image of a petite, frail-looking woman, sitting for days inside a makeshift tent across the Chinese Embassy in protest against China’s forceful repatriation of North Korean defectors, is still vivid, even after nearly two years. Sitting at her office in Dongguk University in Seoul last month, Park Sun-young recalled how she, then a Liberty Forward Party legislator, started a hunger strike, almost on impulse. 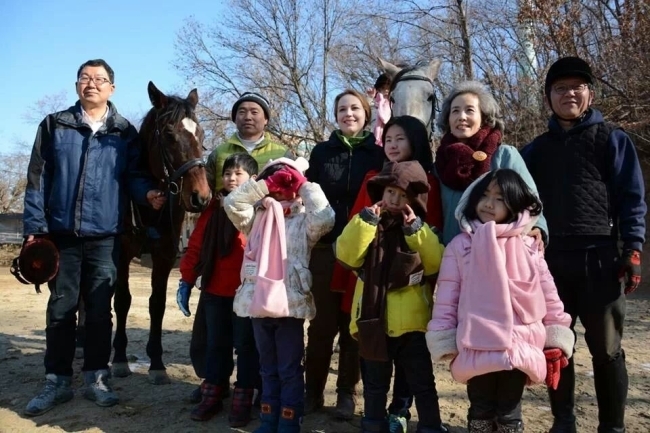 She had been receiving many desperate calls, day and night, asking her to help stop the repatriation of North Korean defectors caught in China, after which they would surely be sent to a gulag, if not killed, for trying to escape. “I did it out of a sense of urgency. I had never felt so powerless, unable to help North Korean defectors,” she said of the decision she made on Feb. 20, 2012. On that day, after a hearty lunch of samgyetang, or ginseng-stuffed chicken soup, with her staff, she went straight to the site of an ongoing protest in front of a church across the street from the Chinese Embassy in Ogin-dong, Seoul, and sat herself down on the pavement. Park, who had never been able to skip a meal ― a Catholic, she was unable to follow the practice of fasting on Good Friday ― was completely unprepared for what would follow. “I thought about how embarrassing it would be if I could not last three days,” she said. Her hunger strike ended on March 2 when she collapsed and was taken to a hospital. 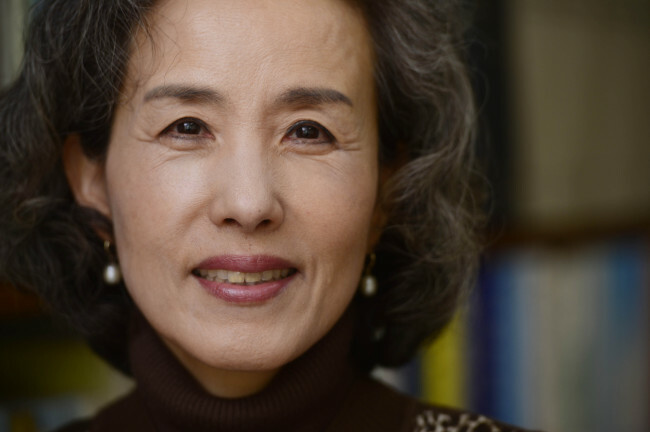 By then she had become a face for the efforts to save North Korean defectors ― a godmother for North Korean defectors. “I started without expectations. I was hearing their clamor, I wanted to console them. I just wanted to show I was hurting too,” she said. Then, later that month, something quite remarkable happened. The United Nations Human Rights Council adopted a resolution condemning human violations in North Korea. Park traveled to Geneva in a wheelchair, still weak from the hunger strike, her hair now completely silver. She noticed how China did not raise objections, oppose it, or walk out. In fact, the resolution was passed by consensus without a vote. “I was grateful for China’s change (of stance). It meant China had begun to feel embarrassed. Everybody had said China wouldn’t change, but it did,” Park recalled. When her term at the National Assembly expired later that year, she returned to teaching Constitutional law at Dongguk University. Park continues to work on the North Korean human rights issue: She is the chairperson of Dream Makers for North Korea, also known as Mulmangcho Association, an NGO that advocates North Korean human rights and runs programs for North Korean defectors to help them settle in South Korea, including an alternative school for young defectors in Yeoju, Gyeonggi Province. Working with North Korean defectors stems naturally from Park’s work as a Constitutional law scholar. “Article 3 of the Constitution defines nationality,” she said. The article reads: “The territory of the Republic of Korea shall consist of the Korean Peninsula and its adjacent islands.” By extension, the South Korean government has the duty to protect the human rights of North Koreans, just as it does the rights of South Koreans. Park believes that the issue of North Korean human rights should be brought to the attention of international organizations to pressure them into taking action, even if the actions are only symbolic. “If a state files cases with the International Court of Justice, it will be handled. But our government doesn’t make the move,” she said. According to the Geneva Convention, she explained, North Korean leader Kim Jong-un is a war criminal for his regime’s treatment of South Korean POWs. Continuing to raise the issue can be crucial in keeping alive the forcefully repatriated North Korean defectors. A broadcast journalist with MBC from 1977 to 1989, Park knows the role that the media can play. Referring to the group of nine young North Korean defectors, many of them minors, who were captured by the Laos authorities and repatriated to North Korea through China in May 2013, Park said that the North Korean regime would not be able to kill them as long as the international media keeps the spotlight on the group, also known as the Laos 9. Today, there are some 25,000 North Korean defectors living in the South. While they have escaped extreme poverty and political repression, life here can be hard. In fact, the suicide rate among North Korean defectors is six times that for South Koreans, according to Park. Children over 15 have no incentive to study, Park explained. They had no education in North Korea and they just give up studying here. They also need to earn money to bring the family members that remain in the North. Park offered the case of East and West Germany before the unification, as an example of what should be done here. “Before unification, the unemployment rate among those who escaped the East was lower than that of West Germans. This was achieved through a year-long job training for the East German defectors.” As a result, “East Germans desired unification,” Park pointed out. By comparison, 95 percent of North Korean defectors are unemployed after they leave Hana Center where they stay for three months familiarizing themselves with South Korea and its way of life; except for 1 percent, those who are able to find employment are irregular workers, according to Park. “We need to treat them well. We need to look at them with a warm gaze,” Park said, noting that the number of North Korean defectors reentering the North increased last year. The Commission of Inquiry on human rights in North Korea, established by the U.N. Human Rights Council in March 2013, is due to release an official report on its findings on Monday in Geneva, ahead of the official presentation to the UNHRC on March 17. Park has mixed feelings about the upcoming report. “Half hopes, half worries,” she said. While the commission held public hearings with more than 80 victims and other witnesses in Seoul, Tokyo, London and Washington, D.C., Park claims that the general public could not contact the commission and the Foreign Ministry did not publicize the Seoul hearing. In fact, the commission was surprised at the lack of public interest here, she said. Park also said the one-year investigation was too short and that while the commission members met with witnesses, they were not able to visit the actual sites. “They should have at least met with the stateless children and North Korean defectors in China’s three northeastern provinces,” she said, referring to the three provinces that border on North Korea.